The intel operatives at Sandtroopers have gotten their hands on a prototype photo of what they speculate is the upcoming all-new Jabba the Hutt for the Legacy Collection (or what ever they’ll be calling it in 2010). Looks fantastic to me, so hopefully this spy reports pans out for all of us. Head over to Sandtroopers or click the photo above to see what you think. Update: I received an email from a trusted source saying this is probably from a different manufacturer (non-Hasbro). Update 2: Received another email and for now the verdict is out as to what this might be but it sure gets the Jabba drool flying with anticipation for whatever Hasbro officially reveals. Want a peek at the 2010 packaging and branding design for Star Wars merchandise? Click the image above for a closer look! Look for an “official” announcement possibly at the end of the month. Thanks to the “little Jawa” out there for the report. What do you think? Weigh in with your opinions on the new design in our forums. The Clone Wars returns tonight with an all-new episode continuing the battle on Geonosis with “Legacy of Terror”. When Luminara goes missing, Obi-Wan and Ki-Adi-Mundi lead a platoon of clones in search of her. When the search leads to a mysterious lair, the Jedi are faced with a horde of undead warriors. The Yakface Toyguide updates continue today with the addition of Imperial Scanning Crew – the next figure in the A New Hope themed wave (wave 10). Toy Liquidation Sale at Toyrocket! Yakfaceforums.com moderator mercuryartstudios chimes in to let everyone know about some great deals! Looks likeToyrocket.com is having a huge liquidation sale on all Star Wars, Marvel, GIJoe, etc. Go check it out! Thanks for the tip mercuryartstudios! For those that were holding out for a sale or clearance on the Clone Wars Octuptarra Droid, your day is here as Walmart.comhas marked these down to an attractive $28.00. If your store doesn’t reflect this price, fear not as you can use the Site To Store option and get this shipped to your nearest store for free. Toys”R”Us has released this week’s Door Buster Deals and this friday (11/20) from 3pm to midnight and on Saturday (11/21) from 7am to 1pm they are offering 2 Star Wars figures for $11.99. This deal applies to Clone Wars, Saga Legends and Legacy Collection assortments. 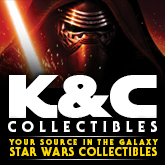 K & C Collectibles has received the new Clone Wars Battle Packs and Deluxe figures. New images have surfaced on ebay of the upcoming Clone Wars mail away figure, Nahdar Vebb. This Mon Calamari Jedi will have a new style of packaging featuring a 3D diorama display. Check out the latest pics of this figure and decide if this is something you’ll be adding to your collection by clicking here. Creature Cantina received a bit of sad info through their QnA with Hasbro this week. Just like his scenes from The Empire Strikes Back, the second version of the Bespin Wing Guard (Utris M’Toc) is getting left on the cutting room floor and will not be released in plastic form. SARLACC, the Seattle ARea Lucasfilm Artifact Collectors Club, proudly announces its first Collectible Charity Lapel Pin. SARLACC is one of the earliest Star Wars collecting clubs, but this is their first ever charity fundraising campaign. The latest Yakfinities Customizing Challenge continues as forum members have selected one of the more interesting themes yet. What happens when a noble Jedi falls to the Dark Side of the Force? Or when an Imperial officer sees the light and seeks to uphold the ways of the Jedi Order? Find out, or even submit your own entry after the jump! Christmas is coming, and the toy aisles are humming! From Hasbro figures to vehicles, to Christmas decorations at Target, gift packages at Toys R Us, and lots of party supplies at Factory Card Outlet. So much Star Wars everywhere, and we try to run down as much of it as we can on this week’s Star Wars Action News. Then also this week we have some in depth reviews. Have you been eying one of the flying vehicles, either the Jedi Starfighter or the Gunship? Arnie and Marjorie do their “consumer reports” rundown on the flying Jedi Starfighter to let you know if it’s worth your hard earned money. Then Jerry joins us for an in-depth look at Hasbro and Kenner 3.75″ scale AT-STs. With the new Wal Mart exclusive super AT-ST, Jerry takes us back in time to the Kenner vintage original and then all the rereleases through the years. And finally this week, perhaps you’ve heard that the new book The Complete Vader has had its release date pushed back from October, 2009 to October *2011*! Arnie already got his preorder from Amazon, and he reviews this book and discusses the issues surrounding its recall. With your voice mails and what’s new at Brian’s Toys, it’s all this week on Star Wars Action News! 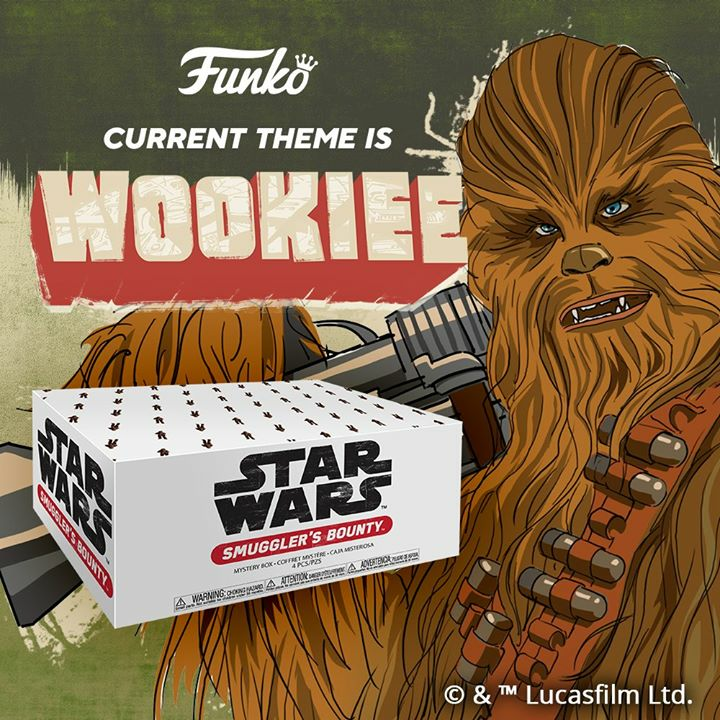 Our intrepid staffer Chewie, has sent word that he found the new Exclusive Battle Packs at his local St. Louis Target. These new sets consist of the Ambush at Abregado with Plo Koon, Sinker, Boost and Rocket Battle Droid and the Assault on Rylothwith Mace Windu, Waxer, Boil and Commander Cody. You might want to try running the DCPI (087-06-0751) on your next visit. After an brief hiatus, NiubNiub’s Universe returns with an amazing update showcasing the construction of Death Star Red Room! Fans and fellow customizers can now follow along and build your own iconic set piece / playset that will easily be the highlight of any diorama display. Head to Niub Niub’s Universe for the full details. In celebration of season one of The Clone Wars on DVD and Blu-ray, our friends at Jedi News have scored themseleves an interview with the man himself, Dave Filoni. Head on over for the inside scoop. Our friends at JediDefender have received word that the Target exclusive Geonosis Arena 2-packs will be on promo this Sunday 11/22 for $9.99. So, if you were holding out for a sale or clearance, this weekend looks like the best bet. The Yakface/Hasbro QnA returns this week with the answers to questions submitted back on October 23rd. Topics this round cover the status of the Galactic Heroes AT-AT and other GH style vehicles, the release schedule for the New Jabba and the Tauntaun, and suggestion for the release of the beardless Hoth Trooper. Head to our forum to find out what they had to say. The Yakface Toyguide updates continue today with the addition of Chewbacca (Millennium Falcon Co-Pilot) – the next figure in the A New Hope themed wave (wave 10). Time has sure flown by, and BBTS has just turned 10! We’ve come a long way in the last 10 years and we could not have done it without all of you – our awesome customers. We’d like to thank you for helping us to reach the 10 year mark, and we look forward to the next 10. As a thank-you for all the business over the years, we’ve just put up a 15% off sale. Everything except ‘new’ and ‘preorder / backorder’ items are on sale – and the pricing will be adjusted on our site. Just take a spin through your favorite menus and take advantage of the sale – it ends Monday. We’ve stocked up our singles from the latest Vehicle Figure packs. We’ve got Count Dooku with Speeder Bike, Anakin with Can-Cell, Freeco Bike with Obi-Wan and BARC Speeder with Clone Trooper, each priced from $18.99 to $21.99. Our vintage department is currently looking to increase inventory levels and is looking for collections of sealed toys from the past 1 – 25 years, and also looking for high quality loose vintage Transformers, Star Wars, GI Joe, and He-Man. If you need to thin out the herd a bit, or need some extra cash, please email James in the vintage department at vintage@bigbadtoystore.com with information on what you’d like to sell and he’ll get back to you. check it all out here. The Clone Wars returns tonight with an all-new episode in the exciting second series with “Weapons Factory”. The battle on Geonosis continues! Luminara and Anakin act as decoys to divert new enemy super-tanks, while Padawans Barriss Offee and Ahsoka attempt to destroy a Separatist droid factory. Don’t forget, the series returns to its regular 9/8pm time slot so set those DVRs accordingly. The Yakface Toyguide updates continue today with the addition of Han Solo (Death Star Escape) – the next figure in the A New Hope themed wave (wave 10). Readers anxious for the Hasbro’s response to the QnA this week will have to wait a few more days as the Veteran’s Day holiday this week threw them off schedule a bit. Look for answers to be posted here on Monday. Diamond Select Toys’ Art Asylum Blog has updated today with final packaging shots of the Emperor Palpatine Ultimate Quarter Scale figure. Head over for a closer look. Museum Replicas is offering a FREE Museum Replicas Gift Card on all orders placed this month. Each card is worth at least $10 up to $100. The value of the card can be checked and redeemed on our website. One Gift Card per online order, but place as many orders as you like. This is our way of saying “Thank You” to our faithful customers. The Yakface Toyguide updates continue today with the addition of R2-D2 (Jawa Ambush) – the first figure in the A New Hope themed wave (wave 10). Head to the toyguide for the image gallery and “Yak Facts” to judge for yourself whether this figure is just different enough to warrant adding to your collection. The very cool looking upcoming Shaak Ti from The Force Unleashed has shown up online. Check out a great preview of this upcoming figure here. For a bit of fun, you can also look back at some great customs inspired by this design of her that Yakface forum members created last winter. The Yakface Toyguide updates continue today with the addition of Darth Maul (Sith Apprentice). Head to the toyguide for the image gallery and “Yak Facts” to see if this figure is worth adding to your collection (again). K & C Collectibles has sent word that they have received their shipment of AT-STs and have posted a new set of pre-orders to their store. StarWarsShop is proud to introduce you to the cultured, well-traveled (but perhaps not so well-behaved) Garden Jawa! Measuring close to a foot tall and crafted in durable all-weather resin, the Garden Jawa protects your tomatoes, zucchini, and daffodils from the dark side, armed with a garden tool bandolier, a garden hose, and a thumbs-up attitude. Reflective amber-colored eyes peek out from underneath his hood, challenging any unwelcome visitors looking to feast on his turf. If you’re active in the Yakface forums, you are most likely familiar with his amazing photonovel series. And now forumitejulienmaurice returns with an amazing Imperial diorama featuring several custom assault vehicles and a great surrounding scene to house these cool creations. Be sure to check out all his detailed images and share your thoughts after the jump! 25% Savings on All In-Stock Merch at StarWarsShop! Starting today, StarWarsShop is launching its Turbo Tuesday savings event that slashes 25% off ALL in-stock items, with no exclusions and no minimum purchase required! For two days only you can pick up those in-stock items that you’ve been meaning to buy but have been putting off. Well, don’t put off those purchases any longer because you’ve got until Wednesday, November 11 at 11:59 PST to save BIG TIME at StarWarsShop! Episode 220: When Stores Compete, You Win! First books, then DVDs, and now toys…with the American economy in a slump, unemployment topping 10% for the first time in a quarter of a century, stores are fighting harder than ever for each person’s expendable income during this holiday shopping season. And these price wars are now impacting Star Wars collectors. Listen this week as we discuss where the savings can be had on Star Wars toys this holiday season! Also on this week’s Star Wars Action News, we review the Season 1 DVD Box Set of the Clone Wars Cartoon Series, tell you how to save 20% off your Kotobukiya orders, and run down the latest in store and online finds, including information on how to find some Wal Mart exclusives that may not have yet made it to shelves in your area! And we look at the future of book collecting with the advent of the Amazon Kindle and other eBook readers. With the beginning of the Star Wars Action News Sith-mas gift exchange, our continuing call for Christmas gift ideas, and more, it’s on this week’s podcast Star Wars Action News! Heads up, Black Friday bargain shoppers! Entertainment Earth is ready to start giving you amazing deals today! Get the latest and greatest toys, action figures, bobble heads, and collectibles in time for the holidays, and get them at amazing Black Friday discounts from Entertainment Earth. Choose from thousands of terrific Black Friday deals that are sure to light up the eyes of everyone on your gift list! And don’t forget, for the remainder of the month they’re offering FREE shipping on orders of in-stock merchandise totaling $59 or more. Wattographs Autograph Signings: Jabba the Hutt CS & Wayne Pygram! Wattographs is pleased to close 2009 with the debut of the next in our Connoisseur Series, Jabba the Hutt! This exciting piece features the creative team behind the vile gangster and will be signed by Mike Edmonds (Jabba’s tail), Dave Barclay (Chief Jabba puppeteer), Toby Philpott (Jabba’s Head & Arm), Howie Hammerman (Jabba’s burps! ), as well as John Coppinger (Jabba sculptor) Mike Quinn, Bob Keen, Jez-Gibson Harris, and Richard Padbury. Sizes are available in 11×14 and 16×20. We are also taking fans’ personal items for individual autographs also. Wayne Pygram portrayed the sinister Governor Tarkin in the closing scenes of “Episode III: Revenge of the Sith” While his role was intended for dialogue, it was shortened to joining Vader & the Emperor to gaze at his destructive creation. Pygram is no stranger to movies or television having appeared in abc’s LOST & as Scorpious on ‘Farscape.’ Mr. Pygram will be signing official photographs and fans’ personal items! Orders for the Jabba the Hutt CS will be taken through December 1st. Signing for Wayne Pygram ends on December 3th. Personal items need to be in Scott’s possession by those dates. Please see site for full details! The Yakface Toyguide updates continue today with the addition of the ARC Trooper – now shipping in revision cases of theLegacy Collection’s Return of the Jedi wave. Head to the toyguide to see if this figure is worth adding to your collection and be sure to read the “Yak Facts” to get the full skinny on this figure as well. You can also follow us on Twitter to receive advanced previews of our Toyguide updates. The Yakface Toyguide updates continue today with the addition of Obi-Wan Kenobi – shipping in revision cases of the Legacy Collection’s Return of the Jedi wave. Head to the toyguide to see if this figure is worth adding to your collection (again) and be sure to read the “Yak Facts” to get the full skinny on this figure and why it’s different from the BD44 figure. 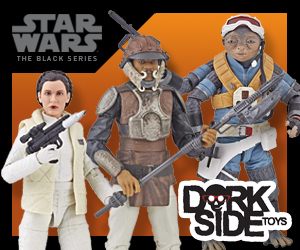 The Yakface Toyguide updates resume today with the addition of the Biker Scout – shipping in revision cases of the Legacy Collection’s The Phantom Menace and Return of the Jedi waves. If you’ve not yet had a chance to take a look at some of the 1800 items we currently have on sale from 20% to 90% off, be sure to sit back, relax, take a minute and see if we have any overstocked toys that would enjoy a new home. This special set collects thirteen of the McQuarrie concept figures in two handy box sets for fans who may have missed the original releases. 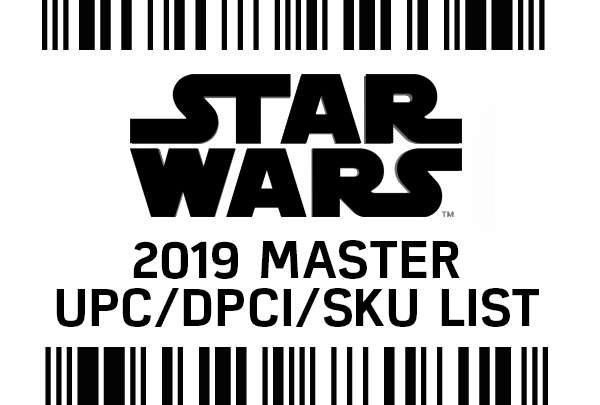 Figures in the sets include Concept Chewbacca, Concept Han Solo, Concept Obi-Wan, Concept Yoda, Concept Boba Fett, Concept R2-D2, Concept C-3PO, Concept Vader, Concept Storm Trooper, Concept Snow Trooper, Concept Rebel Trooper, Concept Star Killer, and Concept Luke, and you can pick up the set for 84.99 and save yourself $20 off the MSRP. The newest assortment of Star Wars Battle Packs includes a little something for everyone. This assortment includes the Battle for Endor, Gelagrub Patrol, Rishi Moon Outpost Attack and Geonosis Assault Battle Packs. We’ve got the sets available individually at $25.99, or you can save yourself almost $9 and pick them up as a case, priced at $94.99. We have this new wave listed in a variety of ways, so everyone can get what they want. We’ve got the set of 8 figures which includes a Stormtrooper, Commander Bacara, Plo Koon with removable mask, Agen Kolar, Commander Cody, Captain Colton, Utai Alien and Concept IG-88 (along with their build-a-droid pieces), and it is priced at $79.99. Yuo can also choose the case assortment, which includes all of the above and adds R2-D2, an Ewok two-pack, Han Solo with Stormtrooper Armor parts and Boba Fett, for $99.99. Finally, we’ve got singles listed for all of the figures in this wave, priced from $11.99 to $14.99 each. This new assortment includes Boba Fett with the captured Han Solo in Carbonite and his Slave I ship, as will as the Endor Attack with Han & Leia, a Scout Trooper, two Stormtroopers and two Ewoks. We’ve got the case of two listed at $49.99 – don’t miss out on this new wave of Galactic Heroes sets. From the popular Star Wars The Clone Wars film and television series comes this exclusive Commander Fox ArtFX+ (plus) Statue from Kotobukiya! This Commander Fox statue stands approximately 6.5 inches tall. Commander Fox CC-1010 is well known to carry two blaster pistols in holsters on the sides of his kama. He wore the distinctive crimson color of the Coruscant Guard on his armor. Fox led a squad of his Coruscant Guard clone troopers on a mission to rescue Senator Amidala from Ziro the Hutt’s palace on Coruscant when her negotiations with the crimelord went awry. Nifty Japanese keychains play a variety of awesome Star Wars sounds – grab a few of these neat imports from Takara-Tomy for just $2.99 each. A new assortment of Red Box Star Wars Transformers has been listed. This new assortment includes new figures of Anakin transforming into his Twilight ship and a Y-Wing Clone Pilot that changes into a Clone Wars Y-Wing. 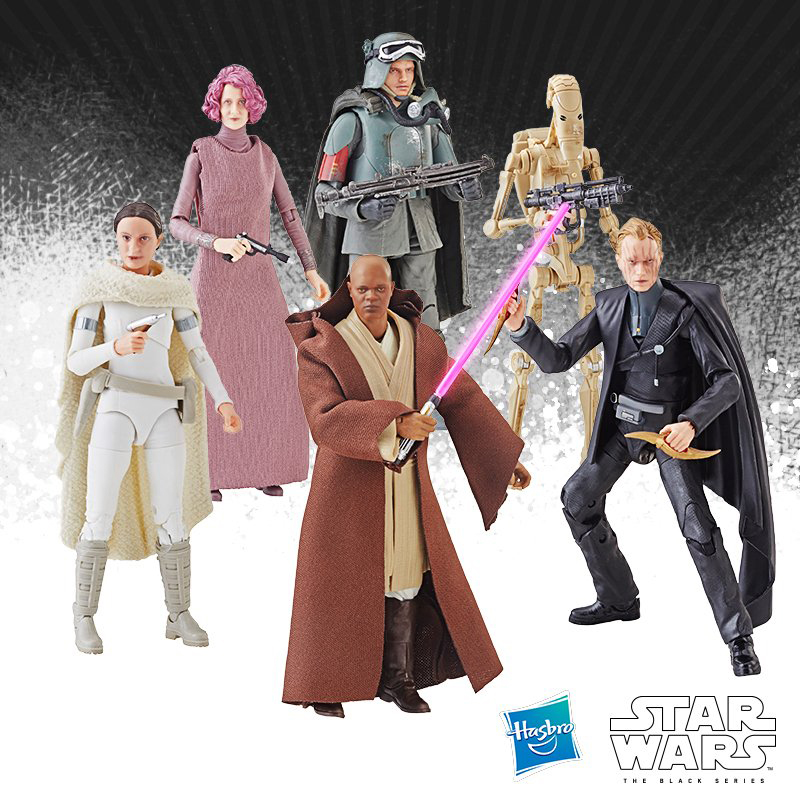 We’ve got the case of 6 (including those two plus Obi-Wan/Red Jedi SF, Battle Droid Commander/AAT, Luke Skywalker/X-Wing and Clone Trooper/V-Wing) listed at $109.99, or you can opt for singles of the various figures, listed at $19.99 to $29.99 each. The Yakface Toyguide updates resume today with the addition of the Imperial Astromech R3-M3 – one of the Build-A-Droids from the Legacy Collection’s Return of the Jedi wave. Head to the toyguide to see if this figure is worth adding to your collection and be sure to read the “Yak Facts” to get the full skinny on this figure and how you can build him. Hasbro: The Clone Wars Diorama Contest FINALISTS! Hasbro’s excited to announce that the finalists for its STAR WARS: THE CLONE WARS DIORAMA CONTEST have been selected. You can vote now at Hasbro.com/StarWars and help us crown the 2009 Fan Favorite winner! Voting will conclude November 16, 2009. 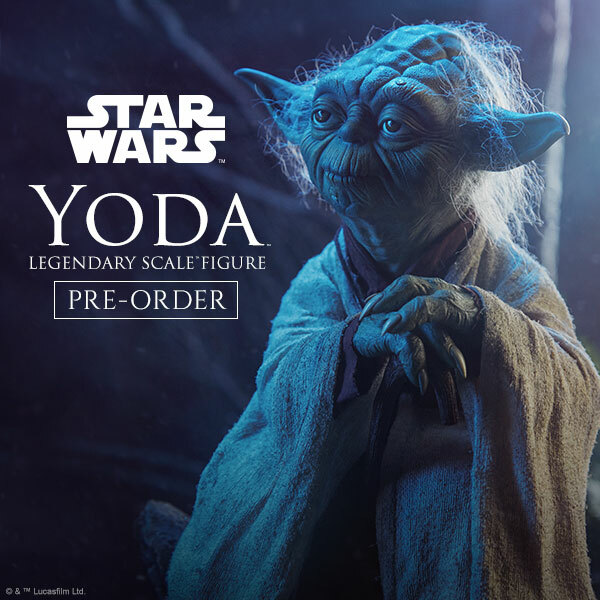 The Yakface Toyguide updates resume today with the addition of the Yoda VCD (Vinyl Collectible Dolls) – the newest release from Sideshow Collectibles. Before you leave the checkout lanes at your local Target, be sure to stick around and wait for the coupons that often accompany your receipt as Target has started handing out special offers good for $5.00 off Star Wars toy purchases of $25.00 or more. The coupon is also valid on Transformers and G.I.Joe purchases as well so if you shop for your toys there as much as I do, these can really come in handy! Coupons expire 12/24/2009. Explore over three decades of Star Wars history with an indispensable hardcover title from DK Books coming next summer.Star Wars: Year by Year — A Visual Chronicle. Hot off the heals of some smokin’ ladies customs, the next Customizing Challenge has just launched. 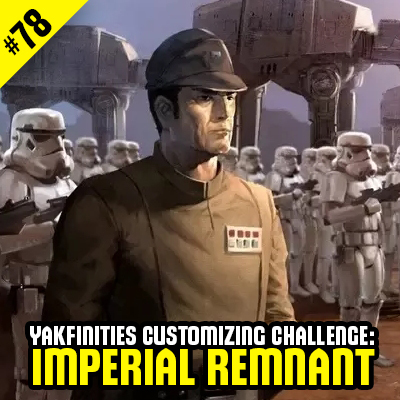 This time around we’re looking at a completely new theme never before explored in a Yakfinities Customizing Challenge. Head on over to the forums for a breakdown of the rules and how you can join in the fun after the jump! The Yakface Toyguide updates continue today with the addition of the variant Ugnaught – shipping in revision cases of theLegacy Collection’s Return of the Jedi wave. The Yakface Toyguide updates resume today with the addition of the Nikto Gunner – the next figure from the Legacy Collection’s Return of the Jedi wave. After a rough stretch where most collectors are finding mostly shipments of Legends figures or Clone Wars, many are wondering if the final Legacy waves of 2009 are going to be hard to find at retail. Over the past couple of weeks however the ROTJ wave has been hitting many Target stores in healthy numbers. And just today I found the ANH wave at a Wal-Mart and the ROTS wave at a TRU (both in the St. Louis area). So keep your eyes open and your wallets ready Yakkers; there’s a lot that could be hitting your stores over the next few weeks. The latest Yakfinities has just wrapped up, with an amazing 40 LADIES created for this recent Customizing Challenge. For a review of all the customs submitted and the prize winners, check out the new ROUNDUP REPORT. Episode 219: What the Hoda? A mint on card Vlix. A life sized bronze Yoda statue. A custom action figure of Steve Sansweet in an Ewok outfit. There are some collectibles that we collectors will never get, either due to cost, availability, the fact that they are one of a kind, or perhaps simply because we don’t know about them. But with Steve Sansweet’s new book 1,000 Collectibles — Memorabilia and Stories From A Galaxy Far, Far Away we can find out abot some of these items, as well as some more common ones such as Monkey-Face Leia from 1995’s Power of the Force 2 line. Arnie and Marjorie review that book, as well as the Lego Star Wars Visual Dictionary, on this week’s Star Wars Action News! Also this week, rundowns on he latest toy bargains from Toys”R”Us and Wal Mart, your voice mails and a recounting of the horror that was Matt Lauer in a blonde wig. All this and more on this week’s Star Wars Action News! According to forumite DjReich, the ROTS wave has shown up at TRU! Check out his figures showing themselves off in all their glory on a restaurant table after the jump! The very cool looking upcoming Wal-Mart Exclusive Comic Pack droid, IG-97 has shown up online. Check out some great images of this upcoming figure here. This week is going to be a busy one for Clone Wars fans, not only does the season one DVD/Blu-Ray Set comes out tomorrow, we’ll also get an all new episode titled “Landing at Point Rain” this Wednesday at 8pm (7pm CST) and it will air again at it’s normal time slot this Friday as well. Thanks to Jango’s Dad for the heads up. Jabba’s ugly, pig-headed guards are finally getting a little respect. This Gamorrean Guard Life Size bust measures 17″ tall and is literally dripping with detail. We’ve got him priced at $469.99, a savings of $30 off the MSRP. check it all out here.